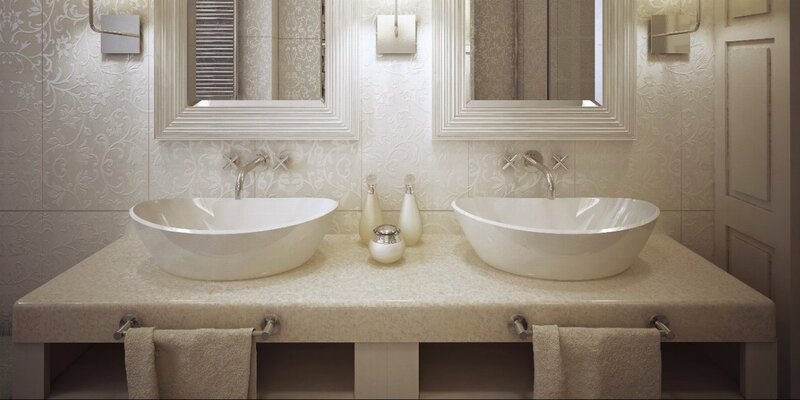 If opening your bathroom cabinets creates a landslide of bath and beauty products, you probably need to organize. 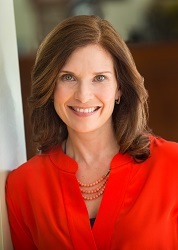 "Anything in the bathroom can become a catch-all unless you do a deep declutter and designate homes for everything." Turning your bathroom into an HGTV feature-worthy space doesn’t require a sledgehammer and a big renovation budget. Sometimes all you need is to declutter and organize the items that make your space feel smaller and less functional. So grab a few boxes, take a deep breath and get to work with our simple bathroom organization tips. The cabinets under your sink often act as catch-all storage for everything you could possibly need, from cleaning supplies to hair products. Use the steps below to establish some order in this useful storage space. 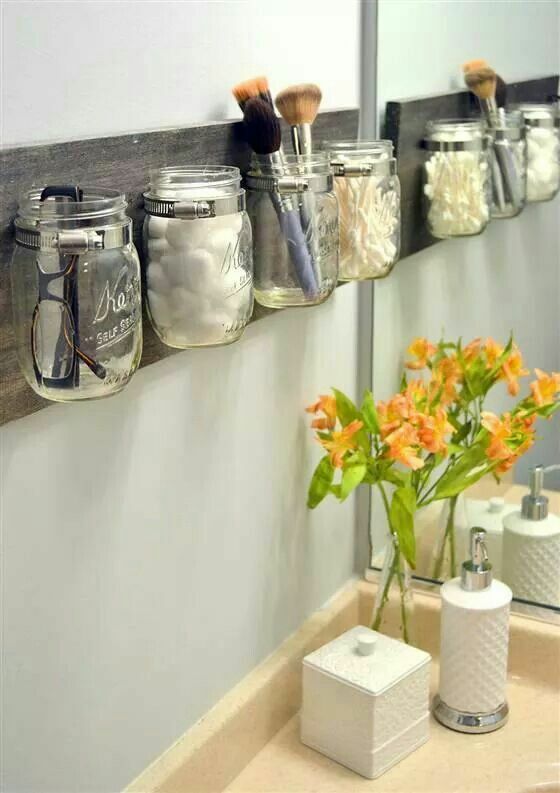 Empty your bathroom cabinets completely. Sort through items to check expiration dates and toss anything past its prime in the trash. Remove miscellaneous items that do not belong in the bathroom. Use baskets or plastic crates to keep similar items together. For example, cleaning supplies, hair styling tools, etc. Place each item into a respective bin; if it doesn't have a home, consider if it truly belongs in the bathroom cabinet at all. Pro Tip: Even if your bathroom has a medicine cabinet, you should not keep any medication in the bathroom due to the high heat and humidity created by your shower. "The thing about under the sink bathroom cabinetry is that you end up with unused vertical space because of plumbing pipes," explains Bernstein. Instead, she recommends using adjustable shelves or stackable clear plastic bins to store items. Drawer dividers are a saving grace when it comes to organizing your bathroom drawers. Measure your drawers if you are looking for preset spacers, but adjustable dividers may provide you with more flexibility. Similar to organizing the cabinets, start by taking everything out of your bathroom drawers. You should throw away any expired products or anything you no longer use. After purging, group similar items together to form categories. Each category should have a drawer of its own, or share a space with related items. Reserve top drawers for items that you use daily. Avoid stuffing items to fit in divider spaces, simply adjust the divider size or relocate it to another space. If it's a hassle to keep everything in a designated space, you'll probably abandon the system. Keep duplicate items in a separate space. Dental floss and an extra tube of toothpaste can stay under the sink in a toiletries basket. Designate drawers for specific types of items(e.g., one for makeup, another for toiletries). Here are a few simple and functional pieces to add to your bathroom to keep it clutter-free. Pro Tip: For more ideas to increase storage in your bathroom, be sure to check out our collection of organization pins on Pinterest. 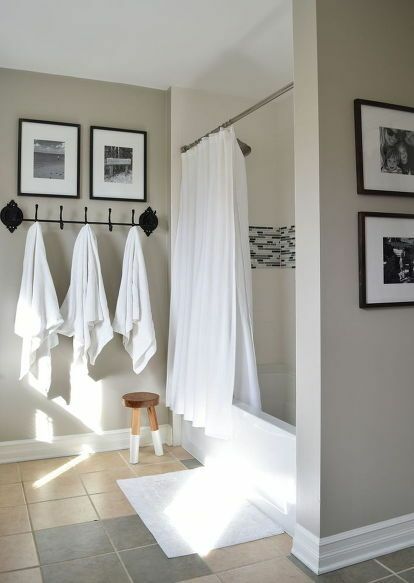 Avoid towels piling up on the floor by installing hooks along your bathroom wall or on the back of the door. This ensures that everyone’s towel has a space and that your bathroom floor will remain dry. "You should always put hooks on the back of the bathroom door, or an over-the-door hook. This gives you vertical storage space which is useful in tight bathroom spaces." Wish you could have one more cabinet under the sink? 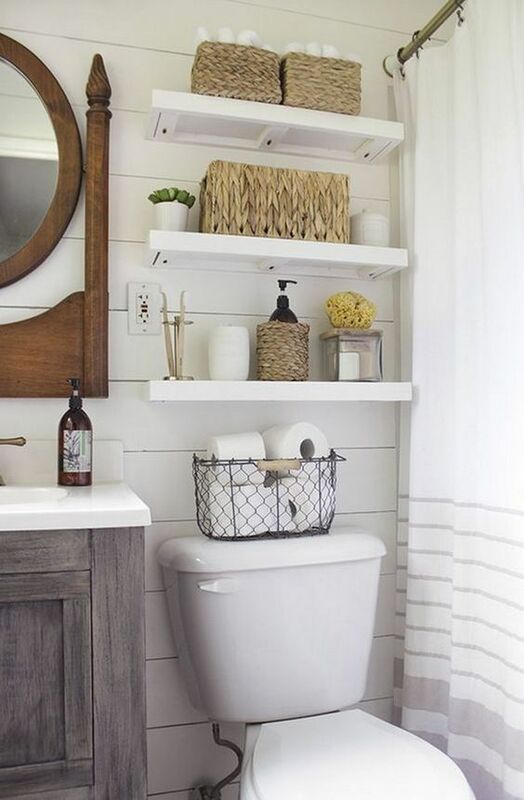 Add a space-saving piece of furniture or shelving unit over the toilet. These are typically large enough to hold extra toilet paper and have a room for additional hand towels and décor. Keep items organized and off of your bathroom counter. For frequently used items, store them in mason or apothecary jars. These are the perfect size for cotton swabs, bath salts, makeup brushes and other toiletries. "I have a small little tray on my counter and the only things that are on it are items I use every day, but even then they have to warrant a spot on the counter. Anything else needs to find a new home. I'm always emphasizing that less is more." Now that your bathroom is neat and tidy, make a goal to keep it that way. Practice a rule to only purchase new items for old ones that need to be replaced, and keep items in the bathroom that have to be there. "We're big believers in less is more and that applies to toiletries and bathroom supplies. Plan to do a major bathroom declutter once a year. Get it on your calendar and then stick to the schedule. The real key to being organized is to live with less." This is the second post in our series of How to Organize Your Home Room by Room. Please also check out Part 1, which covered kitchen organization tips. Check back next month to read our organization tips for the garage. 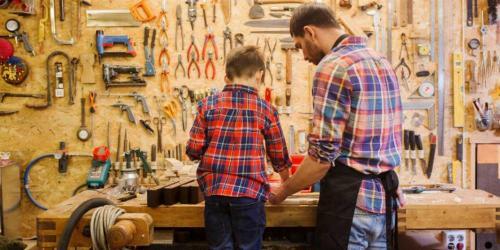 Tackle more DIY projects with smart workshop organization. Use these tips to get your workbench organized quickly and simply. 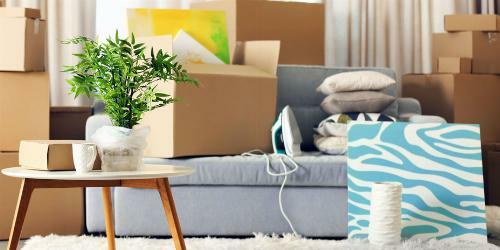 Moving can be a difficult, and wasteful, task if you don’t take time to plan and organize beforehand. Here are some simple tips to help you reduce waste during your move.